With today’s homes being built “tighter” for energy efficiency, less and less outdoor air gets in. While that’s a good thing for heating and cooling bills, it’s not necessarily a good thing for your health. Stale, polluted air gets trapped in your home with no way out. Since most people spend 90% of their time indoors, this can lead to problems. The American College of Allergists & Asthma states that 40% – 50% of all illnesses are caused by polluted indoor air. Pinnacle HVAC has the solutions to those indoor air quality problems. Electronic air filters like Carrier’s Infinity Series and Performance series of air cleaners use Captures & Kills™ technology to capture and filter out pollutants, allergens and pathogens from the air in your home, to leave you with cleaner, healthier air. UV lights can also help kill biological and chemical contaminants such as mold, bacteria, viruses, allergens, and even airborne pollutants like cooking and pet odors, and cigarette smoke. The UV wavelengths these lights create destroy and deactivate these biological and chemical contaminants. We can install a Carrier air cleaner and/or a Sanuvox UV light in your home. These are especially helpful if someone in your household suffers from allergies of any kind. While your furnace keeps the air in your home at the right temperature, it also steals all of the humidity from it. The result can be air so dry it causes itchy skin, cracked lips, bloody noses, and can even exacerbate coughs. Low humidity can also cause wood furniture, molding, and wood floors to crack and show gaps. 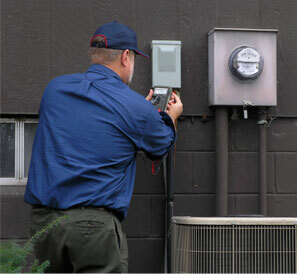 If you are experiencing static shock on a regular basis, your home is lacking humidity. Pinnacle can help. We can install an AprilAire or Nortec whole-house humidifier. These systems are practically maintenance free. They attach to your furnace and you can set them to keep the humidity in your home exactly where you want it, keeping you comfortable all winter long. Plus, humid air feels warmer so you can turn your thermostat down a degree or two without sacrificing comfort and save money on your energy bills. According to the EPA, every degree you lower your thermostat can result in 4% savings on your heating bill. Speaking of saving money on your energy bills, if you don’t have a programmable thermostat installed in your home, we highly recommend you install one. A programmable thermostat makes saving money easy because you can control the temperature in your home automatically. Just dropping the temperature a few degrees while everyone is sleeping or no one is home will save you a significant amount of money. According to the US Department of Energy, turning your thermostat back 10° to 15° for 8 hours, can save you 5% to 15% a year on your heating bill. In the summer, you can keep your house warmer than normal when you are away, and setting the thermostat to 78°F only when you are at home and need cooling. Programmable thermostats let you set the temperature to return to normal before you wake or return home so you’re never uncomfortable. We can install a programmable thermostat from Honeywell or Ecobee in your home and help you save money all year long. If you need help with indoor air quality, from air cleaners to humidifiers to programmable thermostats, just give us a call and we can help you decide which product is right for your home. Call us at (781) 647-7117.